As a certified teacher as well as the mother of two under the age of three, Mulberry Media Interactive’s app Together Time with Song and Rhyme for Parent and Preschooler Play has very high value and importance. Children love to learn through music and hand gestures, but above all interaction with mom and dad! I recall a ton of nursery rhymes for my children these days as they were great for my ESL learners while I was in the classroom. I am amazed at what this app contains– the lyrics, the video with the words, music, as well as the fun little finger motions to accompany the songs as well. And when all said and done, the biggest reward with this app is seen through the smiles and giggles from the little ones interacting with you. And you really cannot put a price tag on that! If I were teaching in a preK/K classroom, these songs would be fun interactive songs for students to actively participate in rather than sit there. My preschooler and I watched many of the videos together, but I also watched some on my own to teach her as well. Any parent/teacher can watch the demo and learn the songs/motions themselves to teach others. I enjoyed the video demos as you could see the hand gestures well, and even the smiles of several children who were having fun participating. There is a great collection of songs, some of which I never heard, others which I can now associate gestures to get my children more involved. And with the typical “Eensy Weensy Spider” song that almost anyone knows the finger gestures to go along with it, I found it cool to have two new verses that I had never heard before! This app has hours of silly fun and giggles as well as interactive play with your students or children. And as a mother as well as certified teacher, interactive play and imagination is so critical for growing minds and bodies. And another big plus with this app is the fact it’s portable, compact, all in one app, rather than needing to do an online search for the lyrics, hand gestures, and HD video tutorial. Way to go Mulberry Media Interactive! I am a children’s television producer and I have a drawer full of ideas. However, several of them are not ideal for television so I had tucked them away thinking that one day I would make a DVD series. When the first iPad launched in 2010, I had a eureka moment and began planning “Together Time”. 2. Why did you create the app? They say “the years before 5 last the rest of their lives” and for parents, those years are often the most challenging. I had some incredible support when my daughter was younger and I wanted to pass along some of the tools I picked up to help me – especially in those wonderful meltdown moments. Music and gesturing together are such a great way for toddlers to learn communication and about the big wide world. 3. When did you first release this app? We released a beta version of the app in August 2012. It awarded us an opportunity to visit Silicon Valley and we’ve been pretty busy working on making it better and prototyping the bigger vision called “Mulberry Jam”. 4. How long did it take you to develop this app? This app has high quality HD video in it so it took a while longer than usual. In total, it was about 2 months, start to finish. 5. What is your favourite feature? We are absolutely thrilled with the new feature that allows parents and early childhood educators to RECORD THEIR OWN VIDEOS AND SHARE WITH FRIENDS. We are really hoping that parents and teachers will see the value in sharing songs with Mulberry for the bigger vision of archiving and sharing every single one in every culture. These little interactions are “interactivity” as it’s meant to be, ‘person-to-person’, and they are so valuable, we don’t want them to be lost in favour of video games etc. 6. What is your favourite song/rhyme in the app? Oooo, that’s too difficult. I like all of them for different reasons: “My Pigeon House” highlights Kathy’s beautiful singing voice, with a perfect pitch for children, “Open Shut Them” is hilarious with the kids because they go crazy for it, “Here is a Little Boy/Girl” is simply adorable for bedtime and “Whoops Johnny” is so quick and easy and kids want to do it over and over again. 7. What age range is it for and what skills were you hoping to help the end user to develop? The app is beautifully designed to be kid-friendly, but we actually designed it so that parents and caregivers would watch it with their children or alone and LEARN how to do the songs and rhymes (fingerplays) on their own – without a device. Learning to be the best toy in the house and spending quality, loving time with their children is well worth the short time it takes. You can do them while you’re cooking, cleaning, riding a bus… anywhere, anytime… that’s the magic of it. Children are so much happier when they are singing and learning. We are natural singers and storytellers; it’s in our DNA. As a parent, the better you learn to express yourself and tell little stories with your voice and hands, the closer the bond with your child…. and studies have proven that the closer the relationship between parent and child, the brighter the child! “Together Time” is ★ BEST PARENTING APP ★ runner up in the “2013 Best App Ever Awards” and is recommended on “Kindertown”, alongside “Elmo’s ABC’s”, as a favorite for early literacy development. 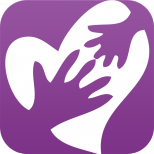 The app promotes quality play time between parent and child. It is full of educational, and entertaining, HD video tutorials with tickle games, songs and rhymes that make parents the best toy in the house! Learn the rhymes from the videos we provide or record your own. We provide the content, parents create the MAGIC! TOGETHER…. FUN AND LEARNING ARE ALWAYS AT YOUR FINGERTIPS! These may seem like simple, fun, songs and rhymes to share with your child but they are so much more. While you and your “little one” are having fun, you are teaching critical early learning skills essential to their development; it actually makes them smarter. ♥♥♥♥♥ trust and relationship skills and a lasting, loving bond with YOU! Surprise your child by learning them on your own from Kathy Reid Naiman, a treasured children’s entertainer. Or, enjoy the demonstration videos with Kathy and children together with your preschooler. Either way provides endless entertainment, learning and relationship building for both of you. Children like to hear a soft, high pitched, voice and learn facial recognition cues like happy, sad etc. Children enjoy singing it with you while mastering the gross motor skills; simple actions like clapping. They also adore the routine of doing the same ones (i.e. at bedtime, getting in the car, getting in the stroller etc.). Children learn to master their fine motor skills (i.e. fingers in a #3 shape) and enjoy doing the actions with/to you and their younger siblings (i.e. tickling your face etc.). ★★★★★ A fantastic app that is loved in our household by both preschooler and 2yo. Purchase is exceptionally worthwhile for the quantity and quality of rhymes. Presenter is delightful and children seem to adore her. App has taught us all rhymes we never knew as well as refreshed our memories of old favourites. Children are now doing these rhymes and giggling away even when iPad is off. Best app purchase of the year in our household for the under five’s. We are creating many, many, more and we would love to hear your suggestions for more songs or improvements. Please feel free to contact us directly at info@mulberrymediainteractive.com.